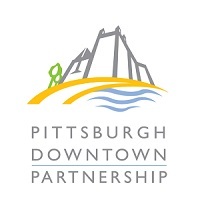 Who can access the Pittsburgh Downtown Partnership member portal? Please note that the Pittsburgh Downtown Partnership member portal is to be used by members of Pittsburgh Downtown Partnership only. Certain workspaces within the member portal will be tailored for and restricted to certain membership types; access to these areas will be determined and approved by Pittsburgh Downtown Partnership staff. The Content that is displayed in your member portal will automatically vary based on your user / membership type. To ensure all interactions within the Pittsburgh Downtown Partnership member portal are safe and friendly, Pittsburgh Downtown Partnership staff will oversee the member portal activity and will review, edit, and delete any inappropriate content that has been submitted. This includes abusive or offensive language, spam, malicious files, or other disrespectful contact. To help provide a productive environment, please report any offensive or suspicious activity to Pittsburgh Downtown Partnership staff. Please note that not all user-submitted content is representative of Pittsburgh Downtown Partnership, nor does it necessarily represent the views of Pittsburgh Downtown Partnership, its staff or members.